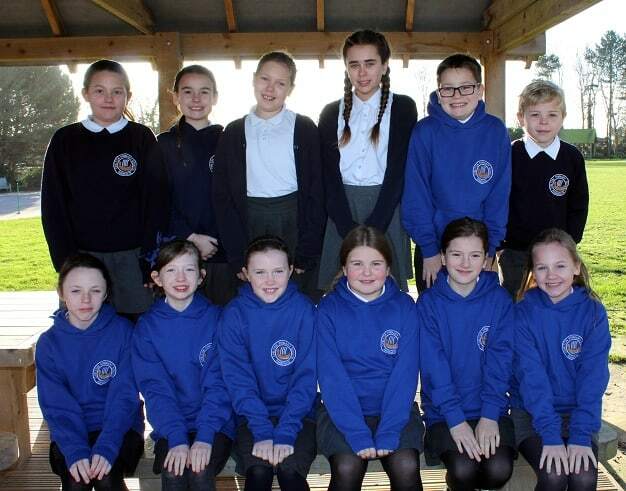 The peer mediation team of Year 5 children are proving a success with pupils and staff at Chilton Primary School in Ramsgate. In the weeks since they started, the 12-strong group has given advice and helped iron out disputes between children in the Key Stage 1 and 2 playgrounds where they have a highly visible presence during lunchtimes. 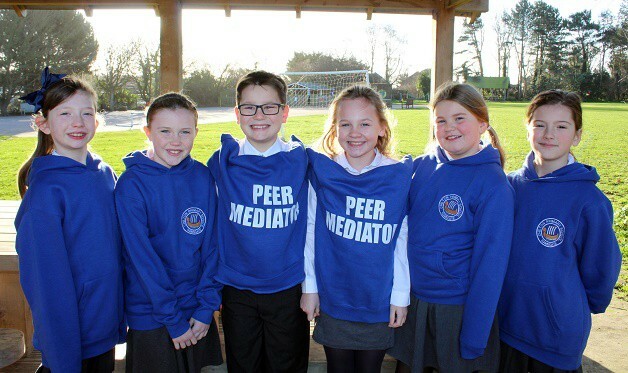 They work on a rota basis of two team members each session and they are easily identifiable for younger pupils – their smart new hoodies with Peer Mediator emblazoned across the back in large white letters are funded by the Chilton parent-teacher association. The group were selected after they made a written application for the important role, and the chosen candidates then underwent six weeks of training with teacher Michaela Gayle, who is the school’s well-being leader. Chilton first launched the project a year ago under the Dover and Shepway Mediation Service which is now operating in the Thanet area, and it was such a success that the school has made it an integral part of their way of life. The 12 mediators are: – Eva, Ruby, Imogen, Lexi, Macie, Lily-Anne, Emma, Harrison, Bonnie, Izzy, Olivia and Rose. Rose said: “We work with the midday meals supervisors and assist them on the playground because they are always busy. The role includes listening to disputes and discussing issues with the pupils involved with the aim of reaching a fair and friendly solution. Any situations that they are not confident to deal with are referred to the adult lunchtime playground supervisors for further action.